EL SEGUNDO, Calif., Sept. 11, 2017 – Boeing [NYSE: BA] will design and build seven super-powered medium earth orbit (MEO) satellites for SES, delivering efficient high-performance data communications services to users around the world. 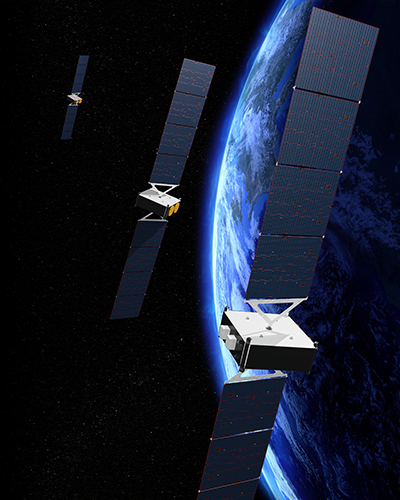 The O3b mPOWER satellites will include Boeing’s most-advanced digital payload technology and will be built using electronics from the flight-proven 702 satellite platform customized to support the unique MEO environment. The satellites are designed to be launched up to four at a time in a stacked configuration, depending on the selected launch vehicle. Starting in the 1990s, Boeing has built 12 satellites for SES. The latest, SES-15, was launched earlier this year.